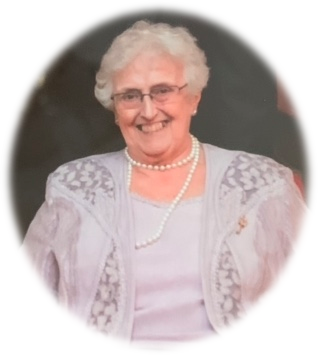 Turbitt Mary Isabella Blake (Isobel nee Brown) 2nd February 2019 peacefully at hospital, late of Colinwood, Ballymena. Much loved wife of the late Aussie, loving father of Irwin, Kenneth and the late Gordon, dear mother in law of Libby and devoted grandmother of Molly and Katie. Funeral service in Ballyloughan Presbyterian Church on Wednesday 6th inst. at 1pm interment afterwards Ballymena cemetery. House private, no flowers please, donations in lieu if desired may be sent to James Henry Funeral Services, 100 Broughshane Street, Ballymena BT43 6EE for Scripture Gift Mission.